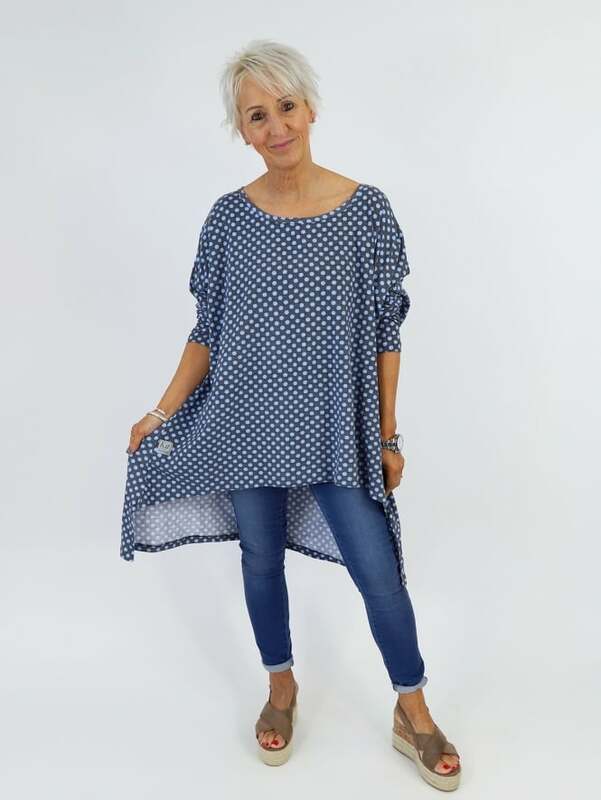 The Kit and Kaboodal Made With Love Kate Top is made from super soft cotton mix fabric and features a wide round neckline and dropped hemline to the back. The wide boxy shape of the garment makes it fall beautifully on the body for a really flattering shape. Choose from our gorgeous plain colours or striped! Due to the nature of these handcrafted items the pattern may differ from garment to garment. Please note the fabric weight may also differ from pattern to pattern.